Greg Wyler, the Chairman of OneWeb, as said that the launch of OneWeb communications satellites from the Kourou space center in French Guiana, planned for February 20, has been delayed due to problems with the equipment from the Russian carrier. 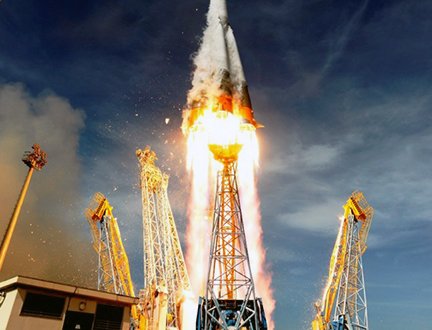 File photo of an Arianespace Soyuz ST launch vehicle during liftoff. He tweeted that the information is true, that there is an anomaly on the rocket which will cause the company to push out the launch. OneWeb satellites are fine and ready to go. The statement comes after Russian State Space Corporation Roscosmos told the Sputnik news site on January 30 that preparations for the launch of OneWeb communications satellites from the Kourou space center in French Guiana were proceeding normally and the detected flaws would be repaired before the launch. Sources in Russia's space industry earlier told Sputnik that a seam rupture in a pipeline that supplies helium to fuel tanks of the Fregat booster on the Soyuz-ST carrier rocket, which is scheduled to put the first test satellites of the UK's OneWeb constellation into orbit, had been detected during pre-launch preparations. In June of 2015, Roscosmos inked a deal with OneWeb and French company Arianespace for 21 commercial launches of 672 satellites on Soyuz launch vehicles with Fregat boosters from the Kourou, Baikonur and Vostochny spaceports. The developer and manufacturer of the Soyuz rockets are Samara-based RSC Progress. The Fregat booster is manufactured by Khimki-based NPO Lavochkin. 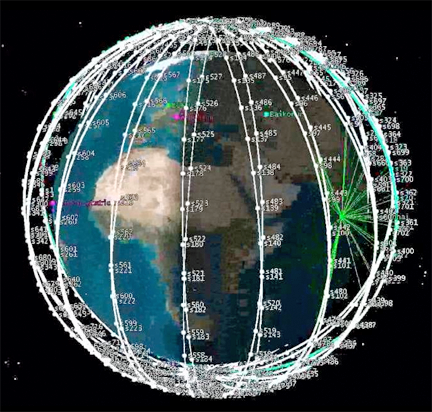 OneWeb plans to create a constellation of satellites that will provide broadband internet access to users around the world fully covering the Earth's surface.